Barcelona has a secret. Behind the flurries of swarming crowds and must-see attractions lurks a hidden gem, a snippet of solitude steeped in beauty, charm and history. A place where time has stood still and only Mother Nature dares to impose on the peace and tranquillity. A place I love to go to escape the hustle and bustle of city life, and where I’d always choose to start my day. Don’t get me wrong – I love the energy and vibrancy of the city – but if I’m honest there’s nothing I enjoy more than escaping into nature and disconnecting from the ‘matrix’ of modern life. A luxury which, thankfully, Barcelona can afford. The secret I’m divulging is snugly situated in the secluded district of Carmel, on the upper outskirts of Guinardó Park. Nestled on the Turó de la Rovira (Rovira’s hill) lie a cluster of war bunkers, cannon platforms and look-out points; timeless relics from the Spanish Civil War and the location of one of Barcelona’s lesser-known hotspots. Although not quite as shrouded in mystery as they were a few years ago, the Carmel Bunkers are still relatively unknown to most, even locals, thanks to their remoteness and omission from most tourist guides, providing a welcome break from the swarms of sightseers found at nearby Park Güell or La Rambla. The bunkers, originally used as anti-aircraft batteries during the Spanish Civil War, were part of Barcelona’s active defence and were constructed in response to the city’s first bombings. After the war, and as an effect of housing shortages at the time, the area was colonised by several local families and the “Barrio de Canons”, as it became known, remained in place until the early ‘90s. Since then, the whole area has been renovated and reclaimed as a historical site by MUHBA (Barcelona History Museum), offering visitors a living, breathing piece of history. 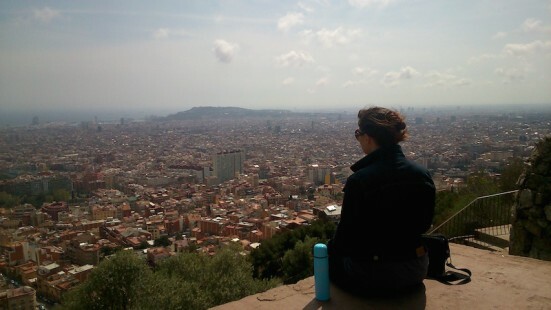 There are buses from Vallcarca to take you up the steep hill, but I prefer to get off the metro at Guinardó and stroll up through the park, taking in the scenery as I breathe in the fresh air. The walk, which takes around 30 minutes, is fairly strenuous (if your fitness levels are as limited as mine) but it’s worth the effort. As you leave the city behind you, a winding path takes you up through the wooded park and you’re rewarded with increasingly dramatic views of the city far below. 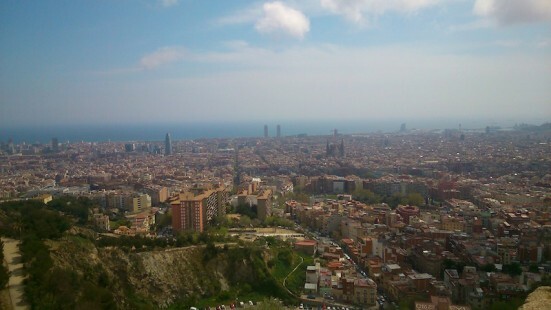 Once you reach the summit (and catch your breath), you’re greeted by the remains of the concrete bunkers and perfect vistas of the Torre Agbar, the Sagrada Familia, Tibidabo and all the other quintessential landmarks of Barcelona. A camera is a must. This charming and spacious spot is one of my favourite places in Barcelona. As I gaze hypnotised at the burgeoning city nestled below, sipping my cafe con leche, I contemplate my place in the metropolis and consider what the Condal city has represented for me over the years. A city which took me in with open arms 8 years ago and became my home. A city which has offered me the chance to learn a little more about who I am and allowed me to follow my dreams. A vibrant, energetic city filled with hope and possibilities, a world of opportunities with every new day. Seeing the city from this perspective is a very humbling and inspiring experience. Take it from me: there is no better way to start the day than perched on the edge of the bunker, with the city slowly waking at your feet and a flask of steaming coffee at your side. Paradise. 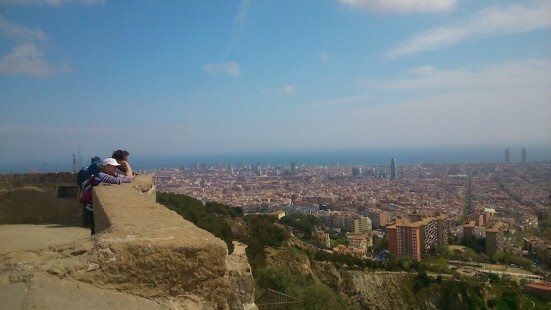 Cat is a freelance writer, editor and translator who moved from South Wales to sunny Barcelona 8 years ago. She is the founder of The Content CAT: Content And Translation, providing content development, communications and translation services to her clients. She specialises in corporate blogs, articles of interest, ghost writing and translation (EN/SP/FR). For more information or to contact Cat visit www.thecontentcat.com.